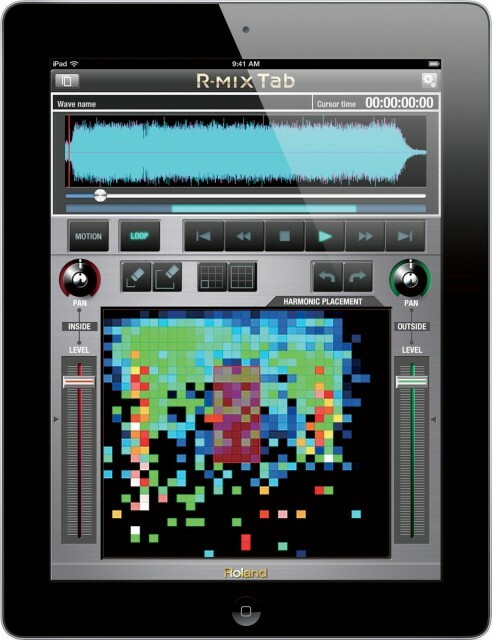 Here’s a software release I don’t think most observers saw coming: Roland has new software for computers and iPads that lets you edit visually. The underlying VariPhrase technology is familiar from other Roland products, though combined here with something Roland calls V-Remastering. 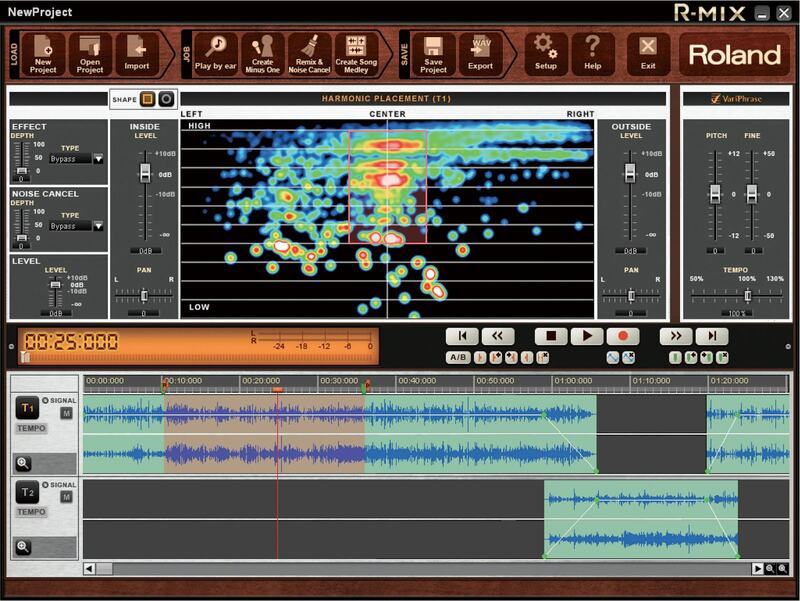 The upshot is this: you begin with a heat map-like visual of a sound’s spectrum, then pull on components of a mix, isolating the volume levels of different parts of a track. Think visual mash-ups and karaoke tracks, as well as clean-up. What can you do once you have those components? Isolate components, adjust their mix, and add effects and noise cancel. There’s also a simplified iPad version called R-MIX Tab, a new move for Roland’s software lineup. As you can see in the screenshots, you can’t do as much with the iPad edition, but it still looks relatively capable. Oh, and that “Tab” name implies that maybe Roland is at least considering tablet tech running Android and Windows 8. Pricing and availability information were not yet available; TBD. I’ll be interested to see how this works, and how people use it. Roland has a slew of announcements; more on the others by tomorrow.